look what arrived in the mail yesterday! can't wait to wash this stuff up and get sewing. i've discovered the perfect fitting t-shirt pattern which i'll be using. more on that soon. i had spoonflower print these bugs on organic cotton knit, which gives the design a creamy, off-white background. (all of the the other fabric options would make for a pure white background). The fabric is super-soft and feels very high-quality. i'm so excited to make a garment with fabric of my own design! 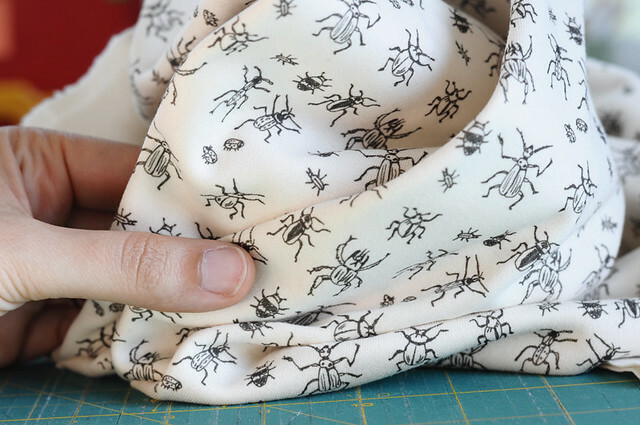 (buy your own beetle bug fabric here).